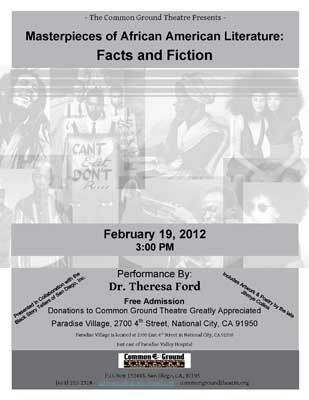 Black Story Tellers of San Diego, Inc.
A Gospel Song Play. 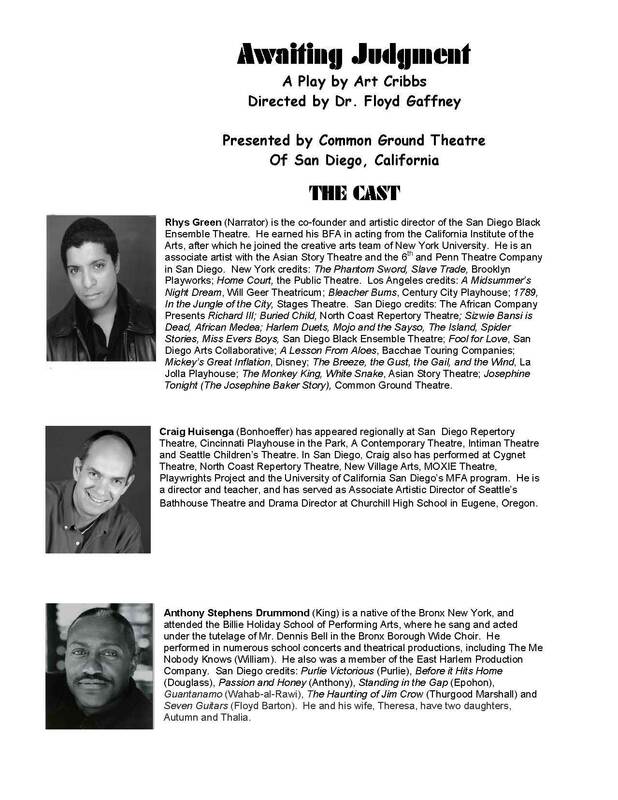 Directed by Floyd Gaffney, professor of theatre at the University of California, San Diego. 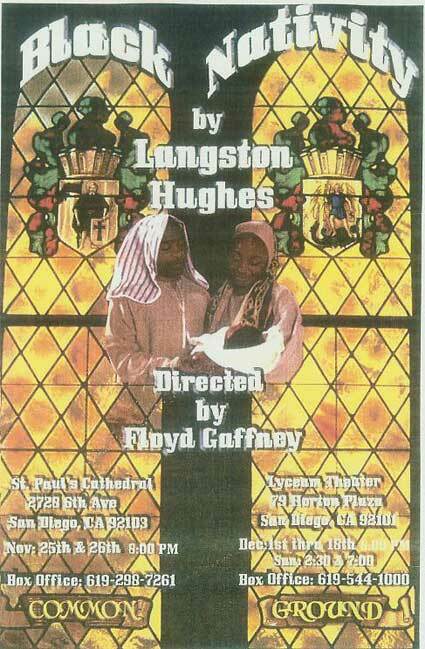 A Langston Hughes’ play with 27 vocal numbers; a mix of traditional carols, spirituals and gospel songs. 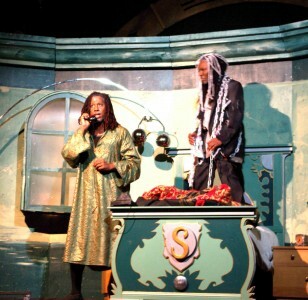 Musical direction by Carol Durgan and choreography by Donald Robinson. 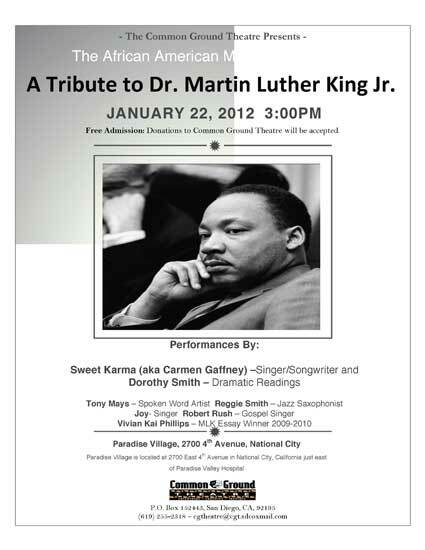 AFRICAN AMERICAN MASTERPIECE SERIES: January 22, 2012 – “Tribute to Dr. Martin Luther King, Jr.,” featuring music by Carmen Spratt Gaffney, traditional African American songs, and dramatic readings of Dr. King’s Speeches by Dr. Dorothy L. W. Smith.